The HeartSmartKids (HSK) system addresses three difficulties in counseling on health risks: acquiring timely data, efficient data presentation, and counseling on modifying unhealthy behaviors. The HSK system addresses these three points with a touchscreen interview, the HSK HeartPrint™, and customized guidance for practitioners and patients. The HSK Interview, often completed while waiting for an appointment, is a short automated interview that collects patient data on their health behaviors, motivations, feelings, and resources. The interview is multilingual, enhancing communication with patients who do not speak English. The interview results are combined with office data, then presented in a summary called the HeartPrint™. 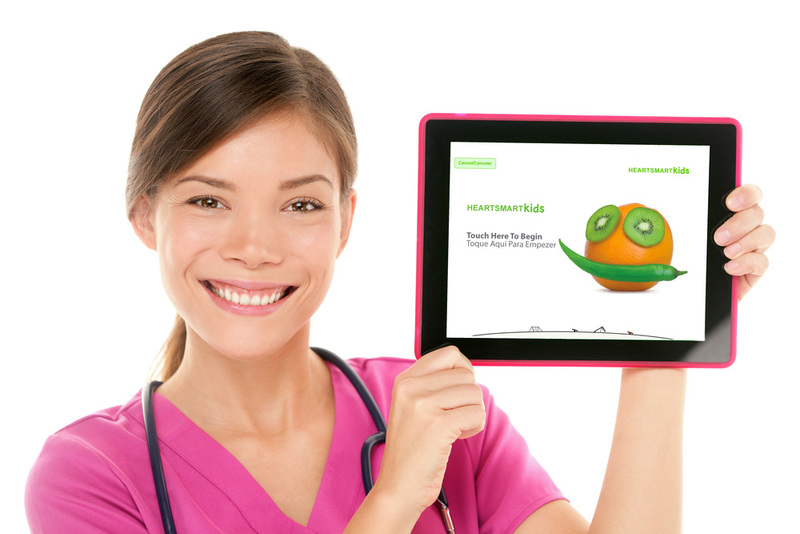 The patient page of the HeartPrint includes curated resources on healthy eating and activities. Both counseling and resources can be customized for age and location.